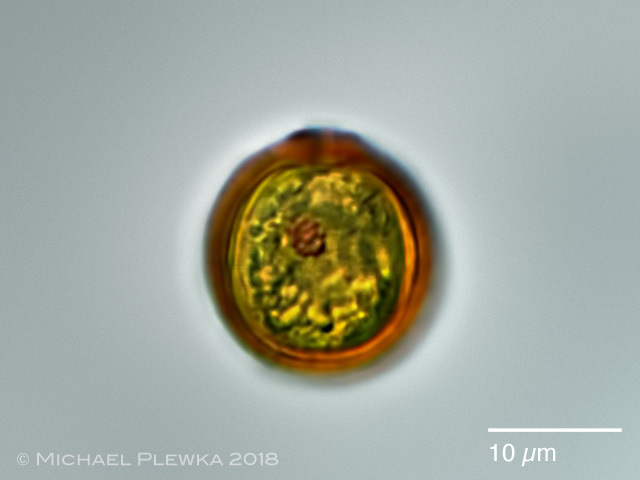 Trachelomonas rugulosa; euglenoid flagellate with a round lorica and annular thickening. Optical longitudinal section. 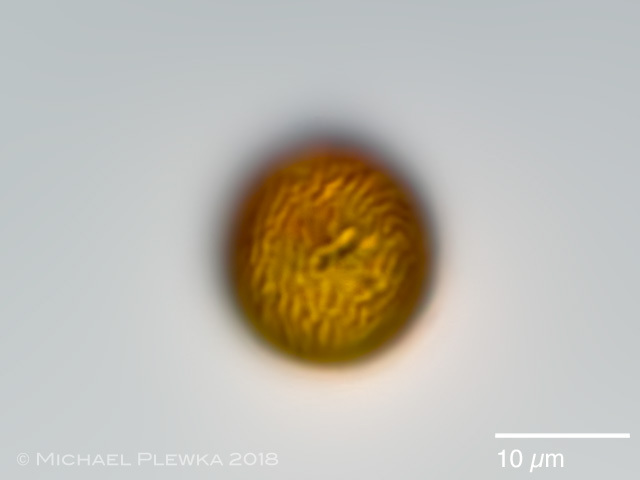 Trachelomonas rugulosa; focus plane on the surface of the lorica with ridges.